"Superb aromatic complexity. Beautifully caught ripe strawberries, cherries and raspberries with fragrant and exotic violets and roses. A very juicy, fleshy and engaging texture. The tannins fold out in sheets and make for very compelling freshness and length. Drink or hold." 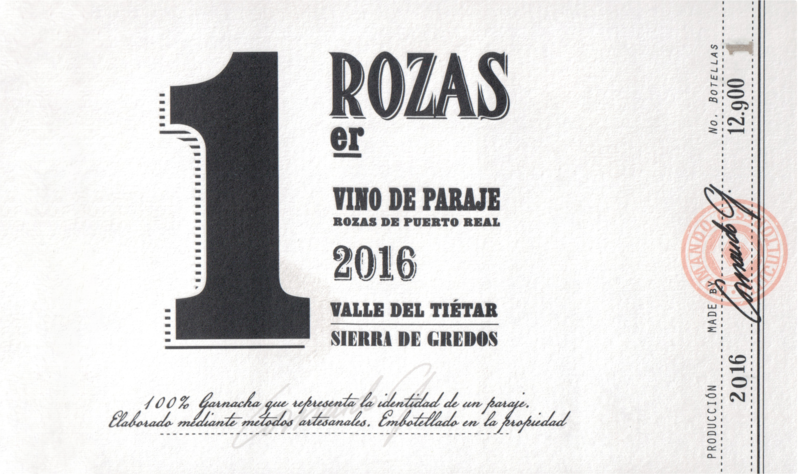 "Rozas 1er Cru comes from several plots, totaling 5 ha, of Garnacha located near the town of Rozas de Puerto Real. 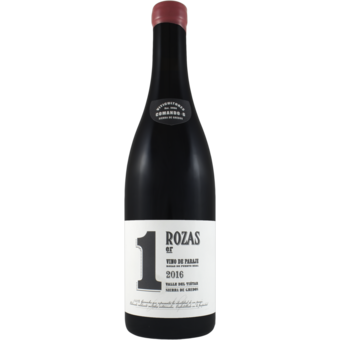 Similar to its “little” sibling, La Bruja, Rozas 1er Cru is lithe and winsome example of mountain Garnacha but with a deeper minerality and slightly firmer tannin, hence the Burgundian inspired name. Comando G is Daniel Jimenez-Landi's latest project with fellow oneology cohorts, Fernando Garcia (Bodega Maranones) and Marc Isart (Bernabeleva). They say that they met each other in class, but there are witnesses who say that they actually met the bar of the University. It was 2005 and they were studying oenology and viticulture. Three years later in 2008, they started Comando G out of friendship and passion. They are resolute in creating the best Grenache wine, capturing and expressing the terroir of each individual parcel they cultivate.